Is your mouth watering? If not, it’s about to be! 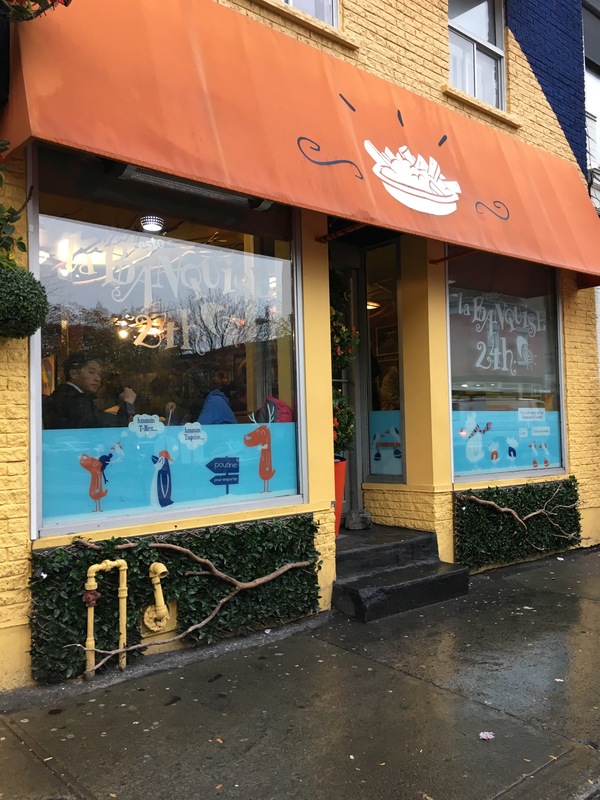 I heard great things about La Banquise through both word of mouth and through other travel bloggers. 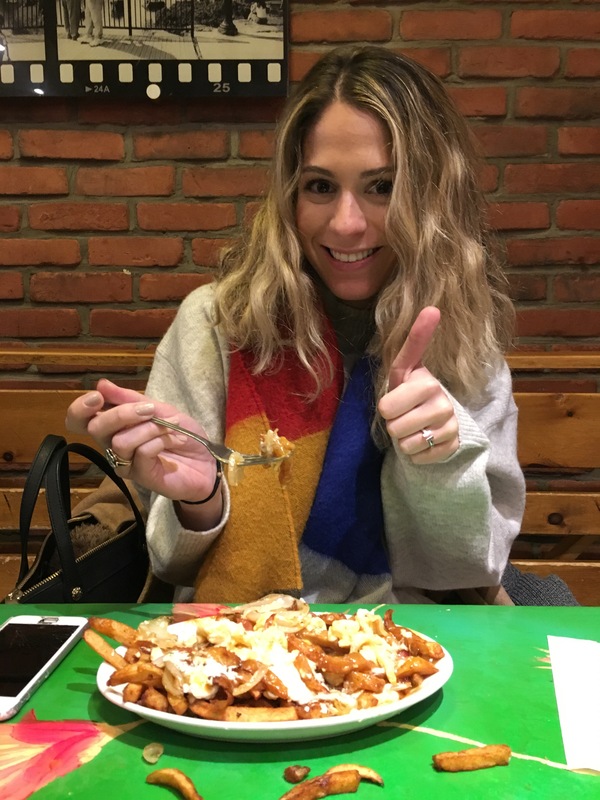 Being that it’s a traditional French-Canadian dish, we knew we had to stop in over the course of the weekend to try some authentic poutine. 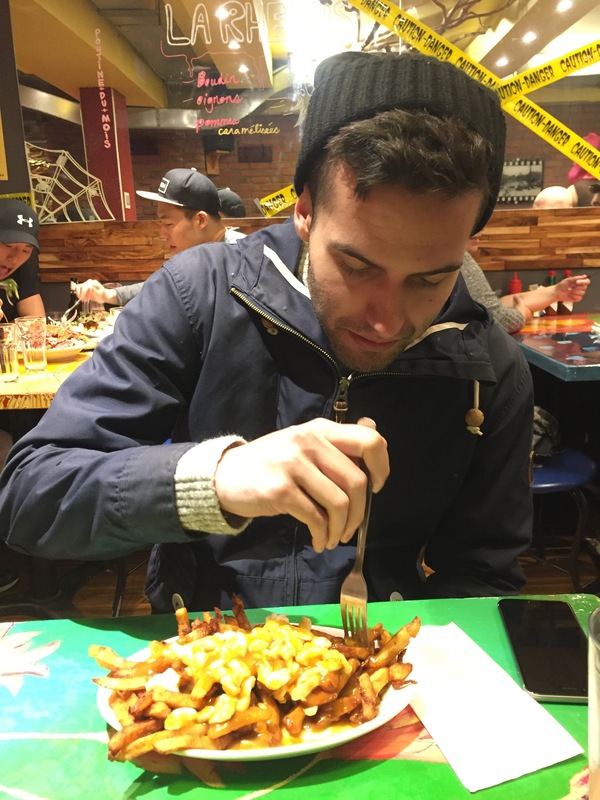 Poutine is definitely a scary sight, but it was SO DELICIOUS. 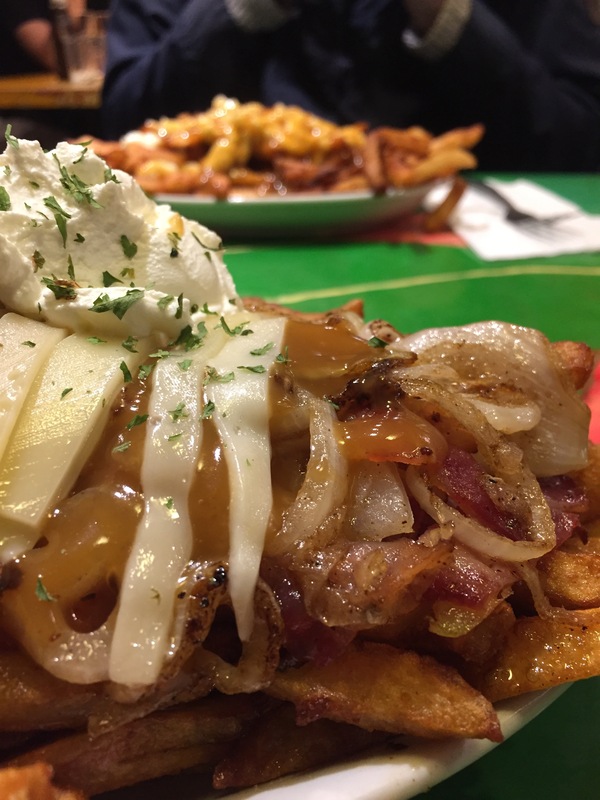 If you love french fries, any version of this dish is for you! 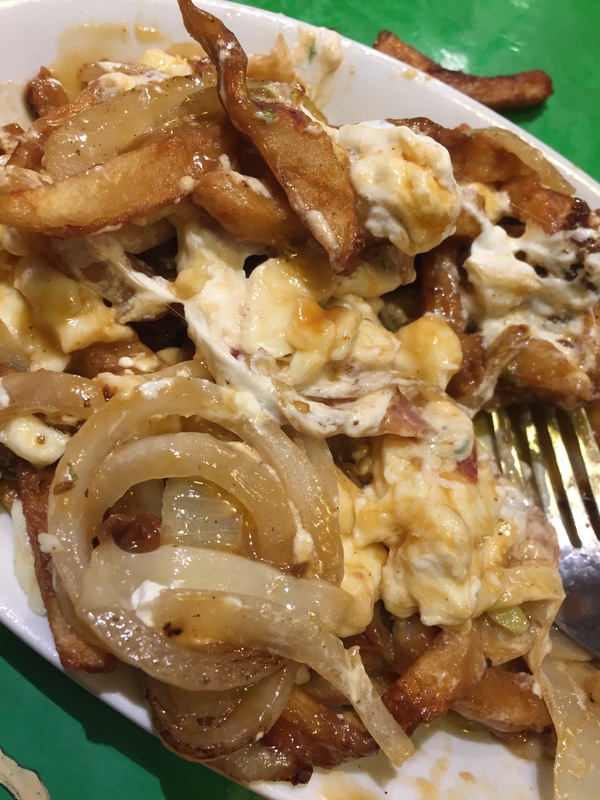 Ben went with the classic poutine (gravy and cheese curds) and I, of course, got a loaded version that was topped with sour cream, bacon, swiss cheese and scallions. I feel like it was basically a super greasy, third cousin to a classic loaded baked potato. It’s definitely a “when in Rome” kind of novelty dish, considering this is no way a health-conscious meal. We had to wait about 40 minutes in the rain to get in to La Banquise, but it was worth it for both the grub and the whole experience. The building itself is super funky on the outside and the inside is vibrant thanks to the bright colored tables and the bumpin’ music. 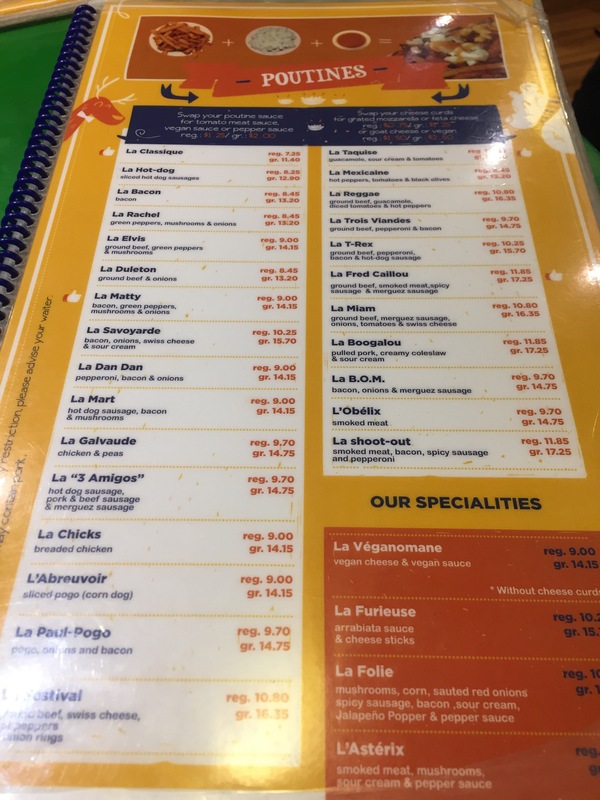 If my pictures have turned you off and you don’t think Poutine is your thing, you can still tag along with your friends at La Banquise as the restaurant has a huge menu consisting of burgers and other items. It’s also open 24-hours, so get ready to get your grub on at any time! 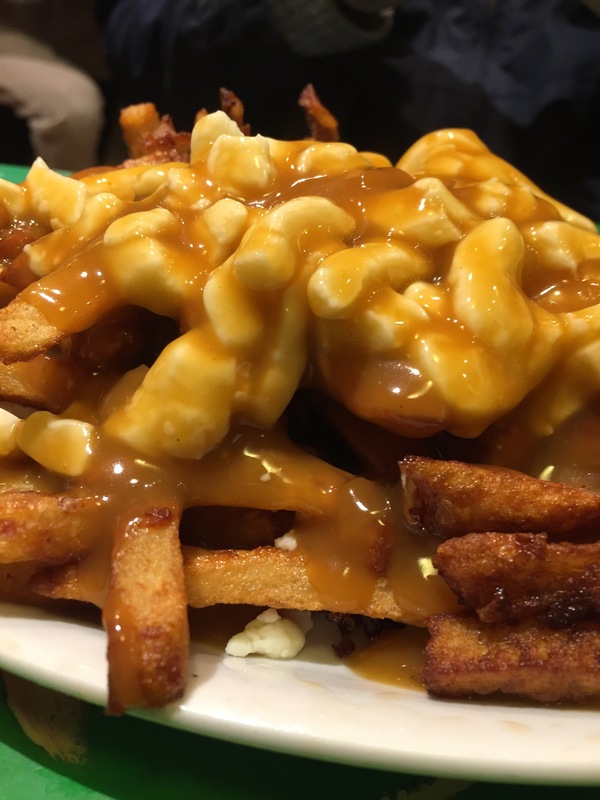 Poutine-a-palooza!